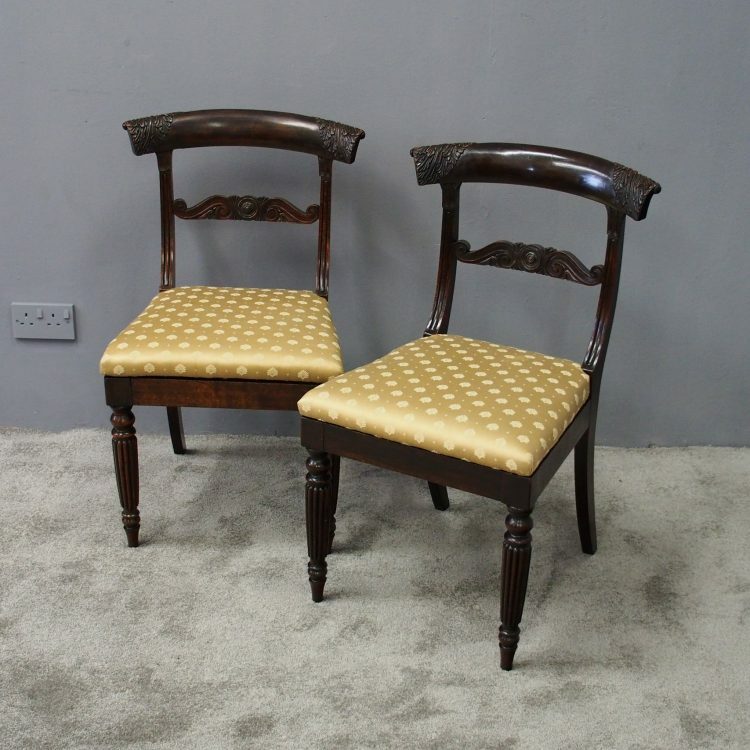 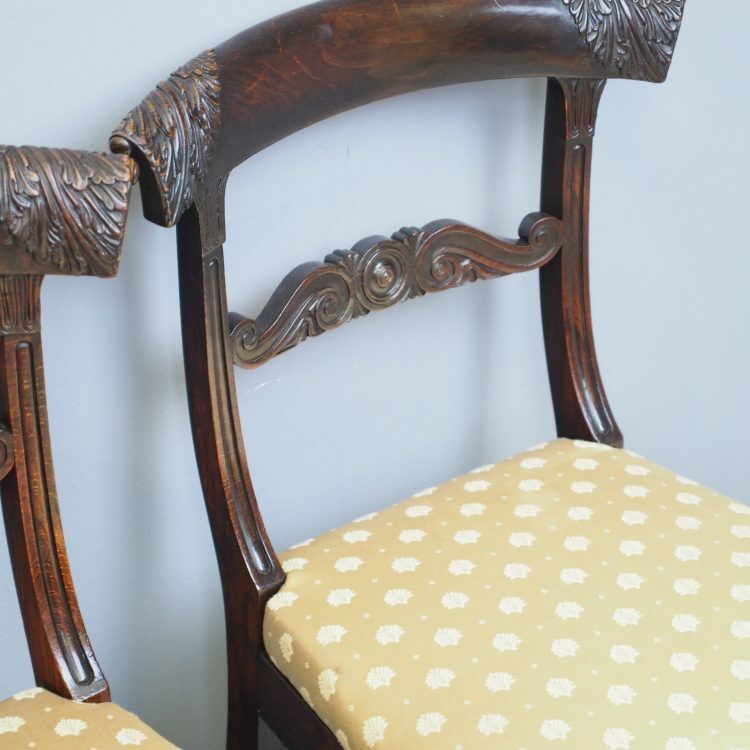 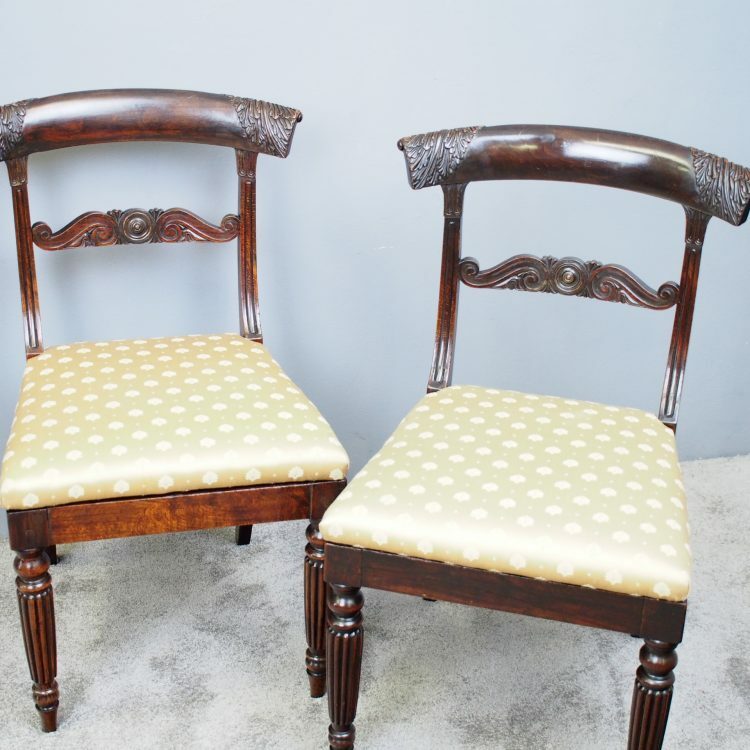 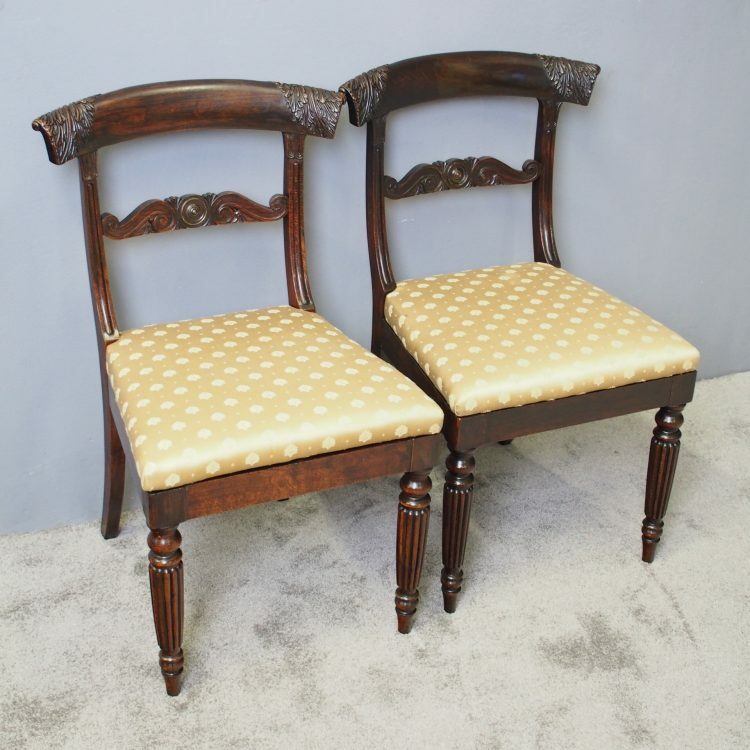 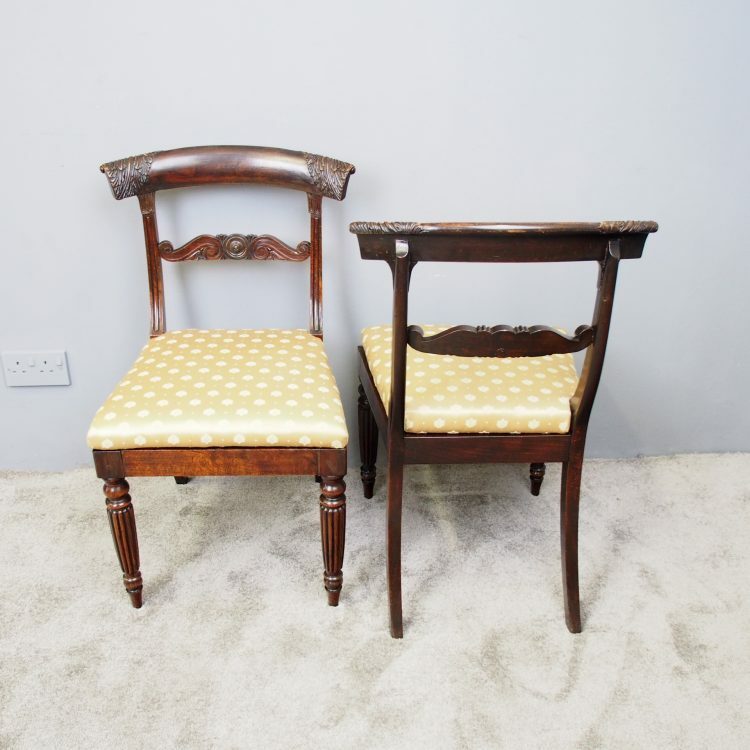 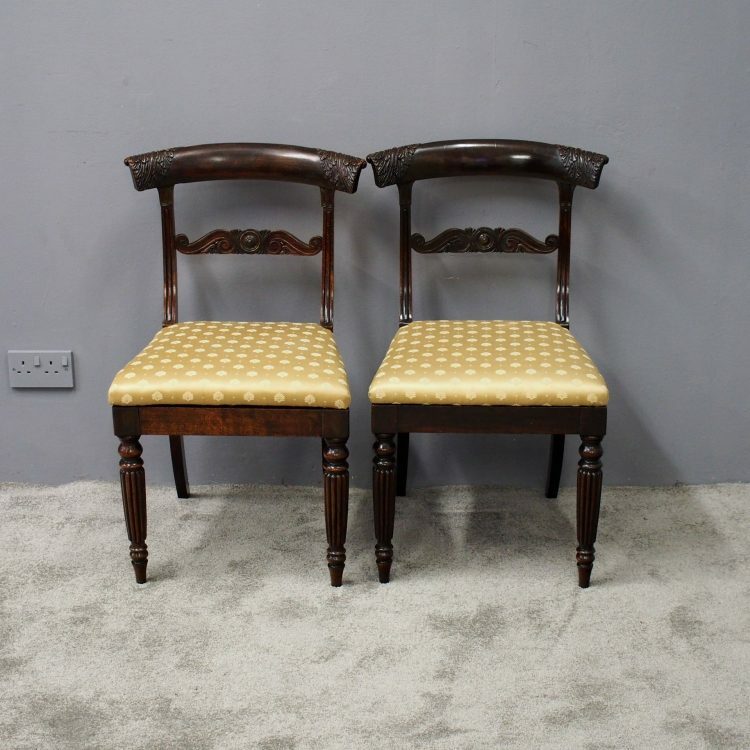 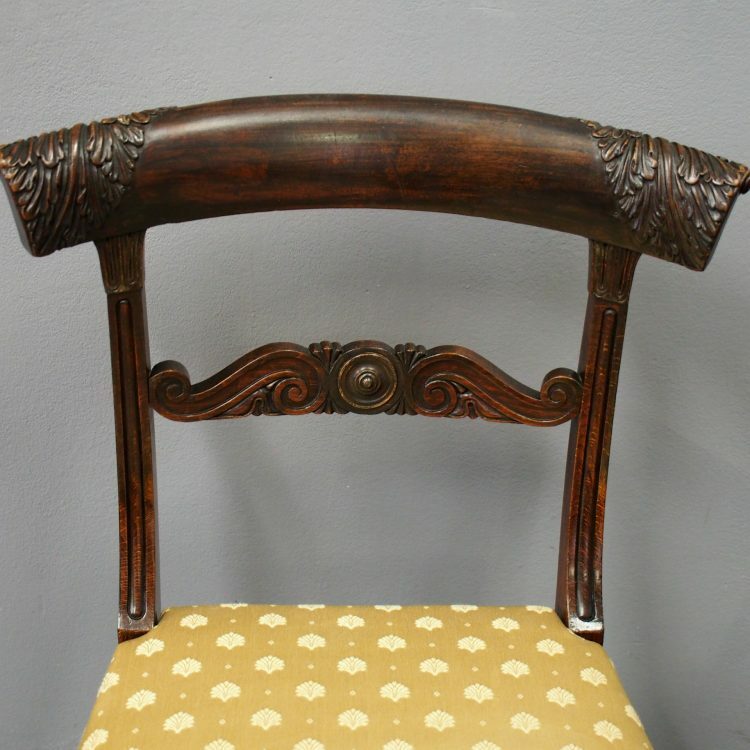 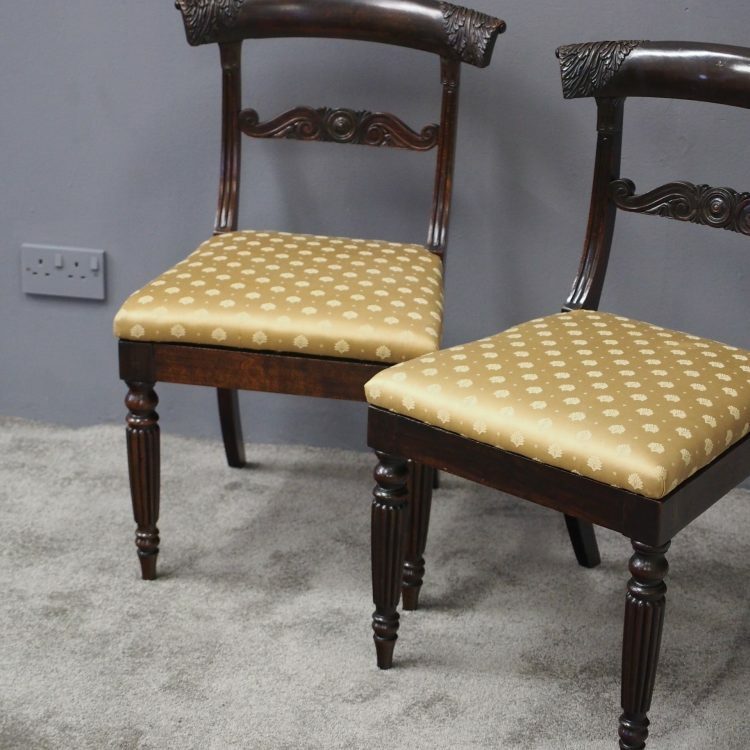 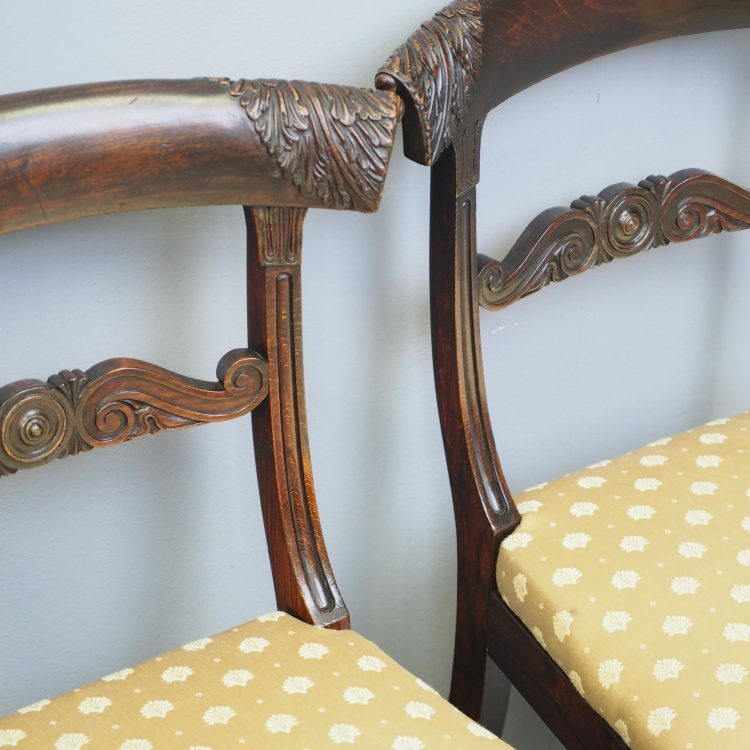 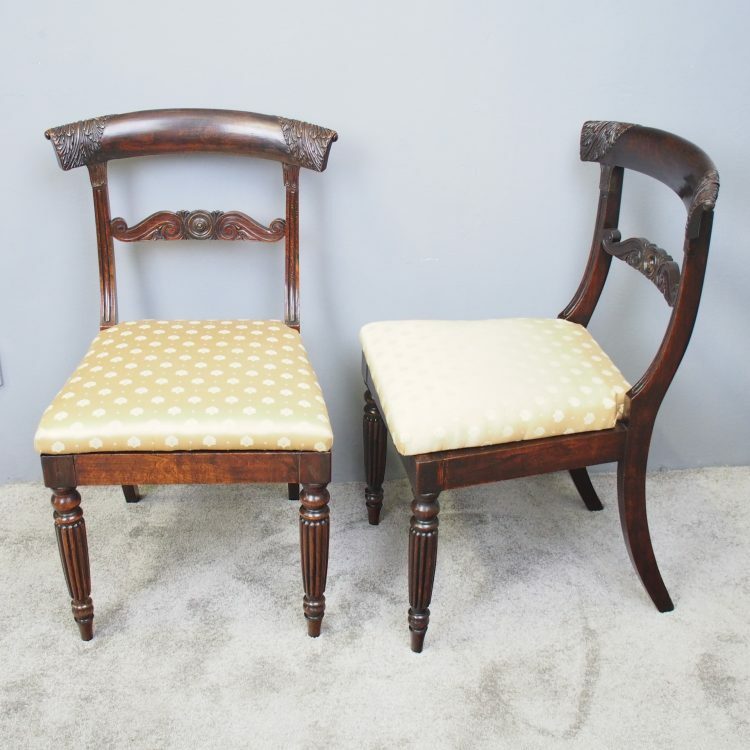 Circa 1815, pair of Regency beech side chairs. 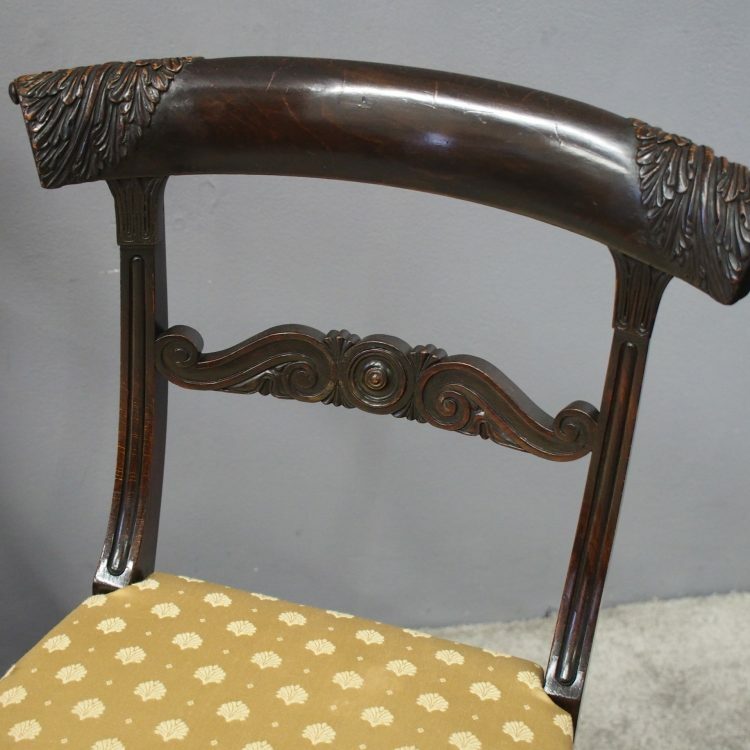 Scumbled to look like rosewood, they have a shaped top rail with foliate carving to the ends, and a carved central splat with reeded uprights. 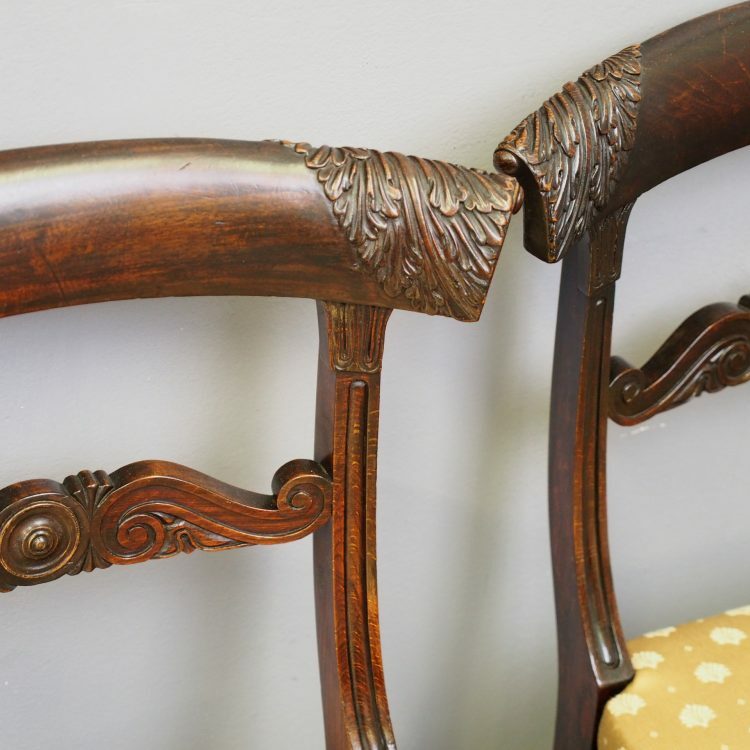 They have a large drop-in seat above outswept back legs and turned, fluted and tapering front legs.